This picture, from June 6, 1984, was taken after we shot footage for a Great Adventure commercial. The non-clown in the picture was the director of the commercial. 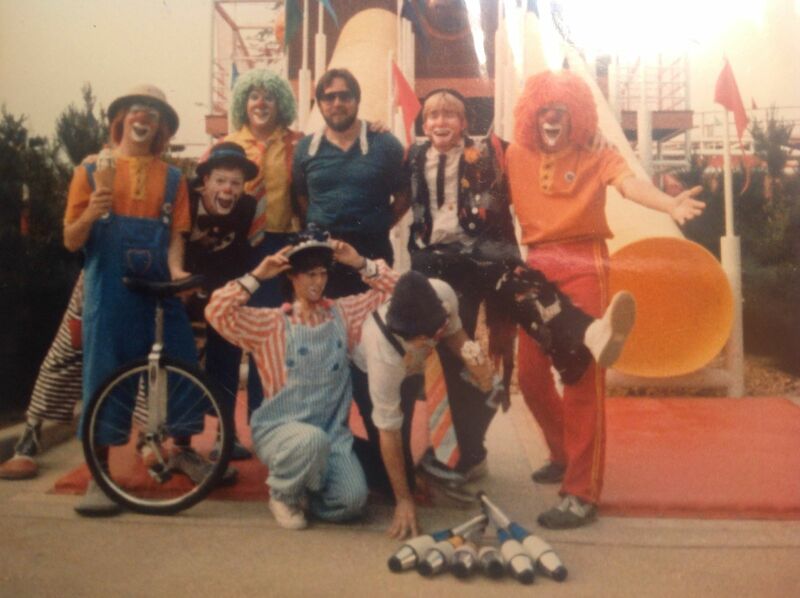 The clowns in back row are Loho, Fritz, Laszlo, Bud, and Juggles (me). The clowns in the front row are Alik and Vokkos. Loho and Laszlo (Marc and Steve Sheris) are brothers. Steve was usually a body puppet, not a clown. But we needed a lot of clowns for this commercial. Bud the Clown played a guitar most of the time as a clown for the guests.